Dave provides the direction for everything we do at Thatcher Technology Group. He likens what he does to creating a mosaic. His role is to bring together all the individual pieces of our organization and create a unified, cohesive vision – then lead our team and clients toward it. Above all, Dave never loses sight of the fact that we work with exceptional companies that are changing lives; our solutions only contribute to their success. Starting in college, Dave was already making advances. By talking to his dean, he was able to create the school’s first degree program in computers. For the next two decades, he developed technology products and e-commerce initiatives for leading providers of retail, supply chain, and warehouse management systems. 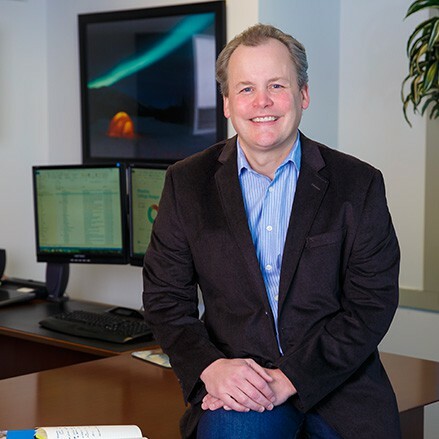 Combining his experience and foresight, Dave has spent his career solving problems. 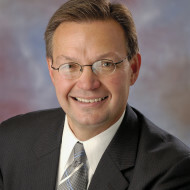 In 2001, Dave joined Thatcher Technology Group as Vice President of Technology and has served as President of the company since 2009. With his dedication and beaming pride, we believe it shows how much he loves this company, as well as the industry. If you have a challenge, bring it to Lisa. She’ll find a solution. Lisa loves the creativity that problem solving requires, which is what drew her to the technology field in 1994. Throughout her 20-year career, she has worked with both small start-ups and globally expanding enterprises, in capacities ranging from technology training to e-commerce solutions development and everything in between. 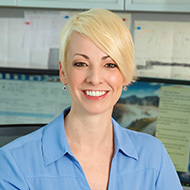 In 2011, Lisa first learned about Thatcher Technology Group and was immediately attracted to the opportunity to make a real difference with her work. Today, she manages all of the moving parts of the Thatcher Technology Group team. Lisa’s main role is working as a liaison between clients, Product Development, and Implementation Service teams. She makes sure objectives and expectations are clearly defined so that actionable, effective strategies can be formulated and executed. Lisa has a gift for relating to people and helping them understand and embrace the value in the positive change we deliver. As a result, she continually pushes each of us to dream bigger and achieve more – for which we are immensely grateful. Rich brings a direct selling perspective to technology and a technology perspective to direct selling. As our senior executive responsible for all global sales, business development and strategic account management activities, Rich provides the first point of contact for many clients with Thatcher Technology Group. He joined us in 2011, following 16 years in various technology roles in the direct selling industry – including a 13-year tenure with The Pampered Chef as Senior Vice President overseeing the company’s global technology strategy. Today, Rich is a respected and influential resource to C-suite leaders across the industry. Using his skills as a networker, he can create an environment for success that empowers both clients and colleagues to leverage their strengths and add real value to the businesses they jointly serve. Rich is a proud alumnus of the United States Military Academy at West Point and Concordia University. In his personal time, he serves as president of the Chicagoland Lutheran Educational Foundation.